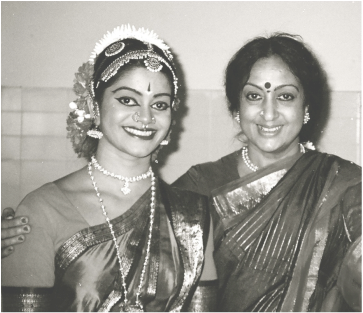 Dr. Padma Subrahmanyam is one of the best-known personalities of Indian classical dance. She is a multifaceted artist: research scholar, choreographer, teacher, singer, composer, author and Indologist. A disciple of the eminent Vazhuvoor Ramiah Pillai, Dr. Padma pursued further dance studies from other gurus, after her arangetram. B.V. Lakshmanan and Salil Choudhury trained her in music. After earning a Bachelor's degree in Music and a Master’s degree in Ethnomusicology, Dr. Padma later went on to complete her doctorate under the guidance of Dr T.N. Ramachandran of the Archaeological Survey of India. Her thesis was for ‘Karanas in Indian Dance and Sculpture’. Dr. Padma’s productions treat subjects of universal appeal and are the result of meticulous research and technique in every aspect from dance to music to costumes. She brings fresh ideas to the common stories of Krishna and brings the lofty philosophies of Shankaracharya to the common people. Dr. Padma is a prolific writer on the arts. Among her publications are: Karanas - Common Dance Codes of India & Indonesia, Epic Stories from Natya Sastra (for Children – both English & Tamil), Bharata's Art - Then & Now, Bharatakkalai Kotpadu (text book in Tamil), Natya Sastra & National Unity. She has several video productions and audio and video recordings to her credit, as well. Among Dr. Padma's ground-breaking performances include 'Jatayu Moksham', set to Tchaikovsky's overture for Romeo & Juliet, and "Gajendra Moksham', set to renowned Japanese composer, Michio Miyagi's music. The Padma Bhushan, Fukuoka Asian Culture Prize, Sangeet Natak Akademi Award, and Natya Kala Acharya Award from Music Academy count among her many accolades. She recently served as President of ABHAI, during which time, she organized 1000 dancers from around the world to congregate and perform in unison at the Brihadeeshwara Temple in Thanjavur in celebration of its millennial anniversary,﻿ Rajarajeshwaram 1000.﻿ She is also affiliated with Sastra University's Distance Education in Dance for graduate studies. Dr. Padma's current monumental undertaking is the Bharata-Ilango Foundation for Asian Culture, envisioned as a research centre for performing arts at the Pan-Asian level. Kalashri Asha Gopal is the Founder-Director of Arathi School of Dance, based in Phoenix, AZ. Smt. Asha Gopal is a disciple of celebrated teachers, Guru Muthaiah Pillai, Guru Kittappa Pillai and Professor U.S. Krishna Rao. She has given Bharata Natyam recitals in all major cities of India and around the world. Since establishing the Arathi School of Dance in 1981, her teaching has expanded to Tucson and Las Vegas, Nevada. Among her many awards are ‘Singar Mani’ title from Sur Singar Samsad, Mumbai in 1969, NRI Excellence award in 1993 at London, England, Karnataka Kalashri award from Sangeet Natak Academy in 1999, Citizen of the Year award in 2000 from the Asian American Association of Arizona, and Balasaraswati Dance Award in 2005 from Sri Ragam Fine Arts Society. She has conducted over 150 arangetrams and is an important cultural icon in the Valley of the Sun.